Welcome to the Hero Arts My Monthly Kit May release, blog hop, and giveaway. You should have come from May Sukyong Park's blog (swoon, seriously!). This is the perfect kit for spreading love, thanks, kindness, etc. with a card or a gift card (or both). And you know how the Hero Arts kits work, once the kit is sold out, it's out! It's $29.99, which is a good deal for a full size stamp set, large die, and, as my husband would say, "assorted accoutrements" (see pic at end of post). The kit was inspired by Jennifer McGuire and her wonderful Share Handmade Kindness campaign. The so very talented Kelly Rasmussen designed the stamps and the gift card holder die. For my project, I chose to make a card, coordinating envelope liner, and gift card holder for a teacher. After all, it is National Teacher Appreciation Week. Love that the gift card holder fits perfectly in a vertical or horizontal A2 card. I don't have a child with a teacher anymore, but I do have a friend who is a teacher and I'm going to surprise her with this. Talk about overworked and underpaid! Here's the full list of the fantastic bloggers (I snuck in!) participating in the hop. One commenter will win the kit. Good luck! The kit, add ons, and even the cool backer card! SUPER pretty Joan! Lovely work! Adorable! We can never thank teachers enough. Thanks for sharing. Just love all the random little hearts on your card, Joan, and so fun to do a vellum gift card envelope for the inside!! This is so sweet with the little hearts! Great inspiration again from Hero Arts! Love this card and the vellum envelop! I love the colors you used on these cards and the acetate circle! That little vellum envelope is delightful. Very pretty and nice way to give a gift card. This is so cute. I think that the sealer for the gift card holder came out really nice! Love what you've done with this out. TFS! I LOVE this card! Perfect for teacher's appreciation week. I wish the kit was available sooner, as we have teacher's appreciation week now over here. OK, that colored vellum is perfection! Great card and surprise for your friend!!! This is PERFECT! I love the colors in the new kit. Thank you for sharing! Love the blue card - my favorite color! I like that the gift card envelope can be slipped into a regular card or used as a stand alone card. Awesome die. Awesome project! Love the design & this wonderful kit!! Oh, gorgeous - you so did *not* sneak in! This is a great kit and you did a beautiful job with it. Thanks. Great card. I like the way you did the inside of the envelope. Very pretty card and envelope! What a clever idea. So nice to support your friend! Very nice stamp set and you used great colors, thanks. I love to see decorated or coordinating envelopes, so you get a big thumbs-up from me. Oh so cute! I love this card and the use of new amazing products. Love this! Can't wait to get the products and have my kids make some cards for their teachers. Thanks for sharing! I love that thank you die set. It's so useful. Thanks for sharing. This is my absolute favorite idea from the card kit so far!!!! Love it love it! Sweet! I love your use of acetate on the front and the vellum for the gift card holder. Thank you. love this elegant card. the new release if fabulous. Perfect for the teacher at the end of the year. Love your card and matching envelope. Super cute card. So thoughtful of you to recognize your friend's hard work. Truly blessed. This is perfect for Teacher Appreciation Week and certainly to honor any teacher at the end of the year. Wonderfully done! I love the lined envelope--perfect gift! Really soft card. I love it! So pretty,, great color! My daughter is a Teacher, she would LOVE this! Love your pretty card and envelope, beautiful elegant design and colors! Your teacher friend will be so blessed to receive this. Loved your matching envelope lining! What a great idea! The card is beautiful and the gift card is a bonus! Great colours on your pretty card and envelope. She will love this. I'm sure your friend will love this! Another nice take on this kit. Love the envelope liner! Love the color choice and simplicity! Beautiful! Great card and beautiful kit!! What a great use of this fun kit - love the vellum envelope for the gift card. So elegant. You make it look so easy.......thanks for this inspiration. This is a most wonderful stamp set. I love how you mentioned that the envelope fits perfectly in an A2 card. Cute card for a teacher. I like the matching envelope and insert. What a great idea to make the envelope liner. Thank you for the inspiration. I can't wait to get the new Hero Arts gift card envelope die. What a pretty card and I love that envelope liner! 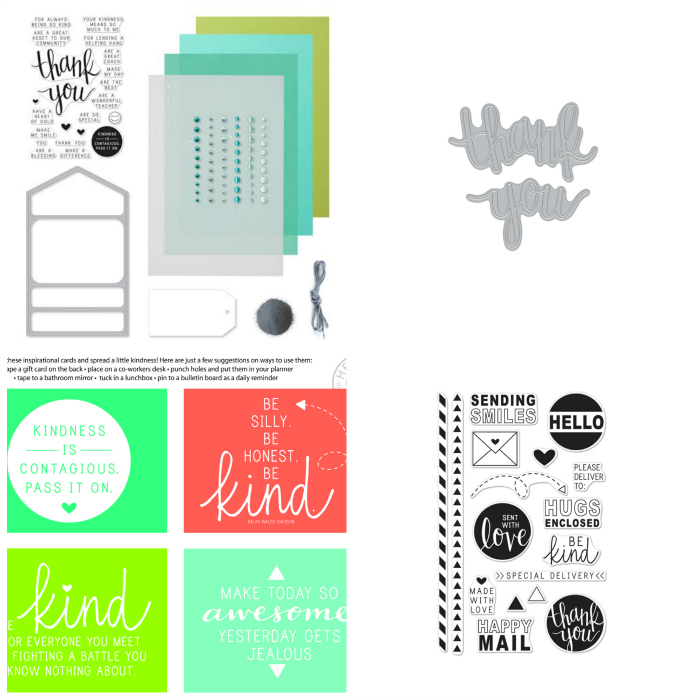 Love your card, this card kit, and the envelope liner! Wow!! Beautiful and so creative! Stay blessed! I can understand why you were happy. Lovely work! These are so beautiful Joan, a great job as always! I love, love, love, love, love this! Love your and envelope and obviously loving the color. All the hearts bling etc. Thank you for sharing. 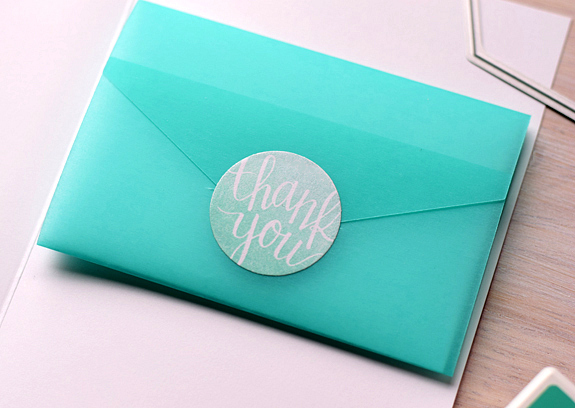 Love the teal vellum and how you used it! Thanks! What a wonderful kit!--so many options for very useful cards! And I love the card and envelope that you have created! Very nice. Teacher will love this! Very cute, they will be thrilled to get this! I love your card - the colors and simple design are great. As a retired teacher, I appreciate the sentiment and can use that for my teacher friends. You are funny! I thoroughly enjoyed your post! I absolutely love the gift card size die and the amazing message behind this kit! Your card and envelope was perfectly designed to bring out the Inspiration behind this set! Thank you for sharing! I like all the originality that everyone is displaying. Yours is wonderful. I love this card and sentiment. Yes teachers are overworked and underpaid but they do appreciate when someone takes the time to thank them. Those little hearts do that. I like that you included an envelope liner. It is a nice touch. Well I'm glad you snuck in because this is marvy esp with that gorgeous color vellum. Your teacher friend will adore this! Nice great card, the envelope is so pretty thanks for sharing. Cute card. I love this kit and all of the creative use of the kit. Love the silver enamels, so eye-catching. I love how you included the envelope liner. And what a beautiful card! OH, I love that envie from the vellum!!! Both projects are beautiful! 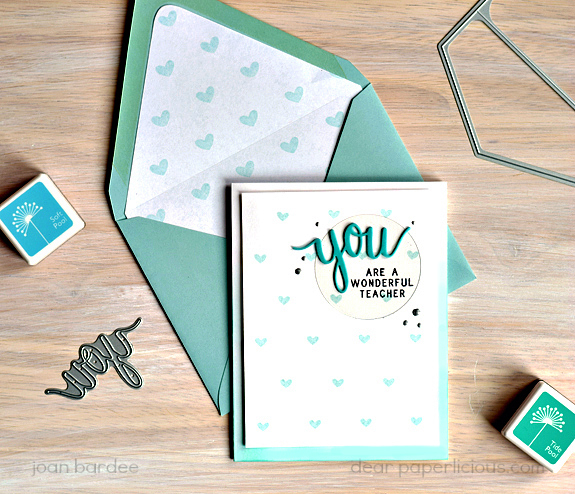 Love, love, love the matching teacher card and envelope. Super inspiring! Perfectly executed card, Joan! Love your heart background and acetate circle for your focal point with sentiment. Your teacher friend will be thrilled to be acknowledged with such an awesome project. Love that the envelope liner matches the card. Aww what a sweet card I'd like to make one for my son's teachers. Great card. Love the colors and the little heart. So fun. Such a lovely card! Love this kit! 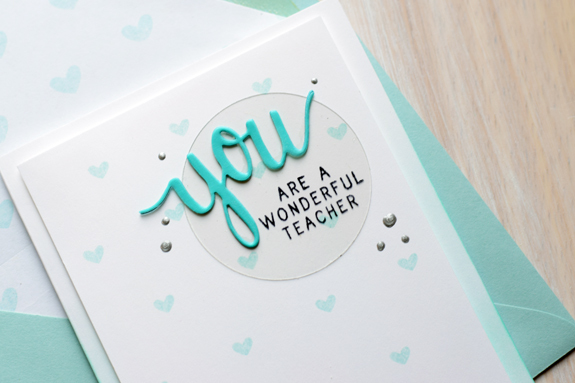 Awesome envelope liner and perfect sentiment for your teacher friend! Yes teachers rock!! Loving the vellum - and the colours are amazing. I'm loving this kit and the fab hop!! Loving that colored vellum! It makes a beautiful envelope. If I had some, I'd have to hoard it. I am afraid there wouldn't be an occasion "worthy" of it!!! Are all paper people hoarders??? Thanks for a beautifully executed project, from start to finish. You def did not sneak in! These are all wonderful projects. Love the blue! So pretty! This set of stamps and dies looks great either using bright colors or soft colors, as you have. I just love it. Thanks for sharing! So pretty! Also love the add-on stamp set. Your card is so soft and pretty. And, I like the way that you decorated the envelope. Such a nice touch. Great kit and add-ons! Yep, the colors are great, the die for the gift card is awesome and the huge talent pool using the kit is over the top! I love this kit and your example! This is beautiful! I love this shade of blue and white combination! Stunning thank you idea! Great idea just using the You by it self. Love your card and those colors. Such a pretty card! Love your soft coloring! The more I see, the more I love this kit! Love your card! What a beautiful card! Love your soft colors! Thanks for sharing! The hearts are adorable on your card! Such a beautiful card! I so love the beautiful kit and so would ude it alot as I love sending card just to say I'm thinking of you or have a great day. Something to cheer someone up. Great card! Love the detail on the envelope! So adorable! It is such a sweet way to give thanks. Nice cards and a great way to say thank you. So cute!! Love the envelope liner idea! Oh Joan, such a lovely project. I had to buy the kit!!! This is the first one I was actually able to get before they sold out. Adorable card and envelope. Thanks! what a perfect "thank you" die! Lovely card and kit. Thanks! Beautiful work. Thank you. Love this kit!! Lovely! Your friend will be so pleased! Great idea to line the envelope. What a pretty card! And love the envelope. I love the colors in this kit!! I like your CAS style but the layering gives it an added wow! What a pretty card Joan. Love how your have the vellum envelope inside the card. Love the blue hue! Love love love this set!! AND the add ons! Very nice card! And a great kit to have. Would work on so many different cards. Great coordinating projects! Love the whole thing - kit, add-ons, blog hop, inspiration! I love using the vellum for the gift card holder- that's a great idea! This is so sweet and coordinated- loving this hop, and loving Hero Arts! Love this card. I am so glad to see cards, especially for teachers. They deserve a big "thank you". Love this set. Great card, any teacher would love to receive! Love the card and matching envelope liner! Thanks for reminding me to decorate the inside of my envelopes. Haven't done that in awhile & it's so pretty! Your card is lovely! Thanks for sharing! Wonderful projects I really like the colors in this kit. Beautiful card! Love the stamps and dies in this awesome kit! I'm really enjoying seeing all the different projects made with this kit as I hop! I love this card- totally my style! I do need to remember to try decorating the inside of my envelopes! Is that silver paint you used to make the raised dots? It really is the finishing touch on your card! I am sure you teacher friend will love your projects. They are adorable. Beautiful card! And those hearts inside the envelope? Too cute! Lovely and sweet idea and any teacher would love this(as a former teacher...I know this)! :) Great use of the kit! Great card! Love the heart background! Wonderful card and I love the gift card envelope! Love the simplicity of the card design and the color choice just popped. Also loved the gift card envelopes. Great stamp and die set. The acetate circle is a cool idea! My husband has taught HS English for 26 years. He would enjoy receiving this card and I would enjoy sending it! Such a lovely card and matching envelope. Your friend will by joyfully surprised and appreciate you more than ever! What a great idea. Love your card and envelope the colors a perfect. Thanks for sharing. So soft and pretty! I know your friend will love it! I,too love to line envelopes. So beautiful! thanks! It's teacher appreciation week, this week at school. This would work well for the end of the year...or any time throughout the year. Teachers can always use a little encouragement! :) Thanks! Love your envelope liner and this great CAS card, so many great sentiments in this set! I love how you made this card extra special by stamping the inside of the envelope. Wow! Your card is awesome!!!! This new kit is really amazing!!!! I love so much the Happy Mail stamp set!